at a discount from the Publisher. Playful as well as profound—and as bawdy as he was witty—William Shakespeare is hardly the stuffy, obscure writer who inhabits so many modern classes in English Literature. 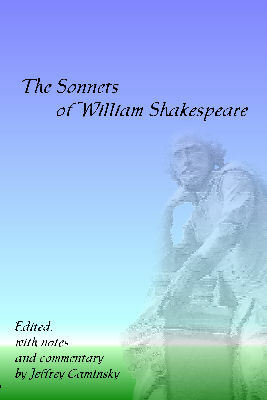 In this collection of Shakespeare’s sonnets, author and poet Jeffrey Caminsky puts some of the fun back in the Bard’s most private and personal set of poems. At once sensitive and tender, yet often skewering mistresses and patrons alike, the poems sing with passion and wit. With explanatory notes to help the modern reader sort through the Elizabethan vocabulary, this collection makes Shakespeare’s poems—and, more importantly, his humanity and sense of fun—come back to life.